There are few words so sweet to a business owner as “bonus”, “rewards” or “cash back” – or a combination of those words. Today’s business credit card offers often include these instant gratification perks. And in today’s tougher economy, every bit helps. Small business owners are looking towards better days as that tough economy moves forward and one way they’re doing it is by re-examining their financial models. Here are a few offers from Chase designed specifically for business owners, each with their own bonuses that will help you as you grow your business. The Chase business card model allows business owners of all sizes to earn up to $250 bonus cash back. The perks don’t stop there, though. 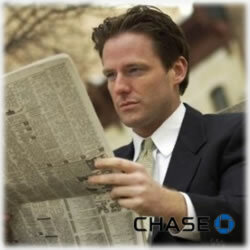 The Chase Ink Cash Business credit card has all other areas of growing your business covered, too. The first $25,000 spent on office supplies, phone or cable services and other purchases to grow your business will earn 5% cash back every single year. And anything over the initial $25,000 will earn 1%. All other purchases, such as entertaining clients at dinner, advertising or marketing efforts earn 3% every day. And there are no limits on how much cash back your business earns. To further sweeten the deal, you’ll enjoy an intro 9% APR for the first six months. You’ll never worry about annual fees, either, because the Chase business card doesn’t have any. Another business credit card offer from the Chase family is the Ink Bold with Ultimate Rewards. Your very first purchase earns 25,000 bonus points. The $95 annual fee is waived your first year and you can redeem more than 45,000 bonus points each year for many anything you need for your business, including air fare. This charge card does require the balance be paid in full each month, ensuring you never have to worry about APR charges. The rewards program has been called “one of the most comprehensive” in the credit card industry and every dollar spent means at least one point earned. It’s definitely worth your consideration, especially if you’re a small business owner. Finally, your points become 25% more valuable every time you use the Ultimate Rewards Travel Booking for airfare. Finally, we take a look at the Chase Ink Reward Yourself with Something Special offer. This business card applies 15,000 bonus points after your first purchase with this card. Like the other Chase models, your points never expire and there are no limits associated with how many you can earn – the sky’s the limit. No annual fees and a 6 month intro 0% APR rate add to the attraction. Unlike the Ink Bold, this isn’t a charge card, so you can pay over time. Your points are valid on nearly anything you can think of, including air travel and gift cards. If you’re looking for an ideal balance transfer credit card for your business, you’ll be happy to know you can take advantage of the intro 0% APR for your transfers. The “no dollar goes unrewarded” is proving to be quite the attraction, which means your dollars go further with the rewards points. If you’re credit isn’t strong, you might still qualify though at a higher APR. More information is found in the terms and conditions. With so many signs pointing to a gradual recovery in the economy, many business owners are taking advantage of this surge and one of the ways they’re doing it is by examining their current credit cards in an effort to find one with better perks, lower interest rates and more flexible payment and spending options. As you can see, the three Chase business credit cards reviewed above might be exactly what you’re looking for. Be sure to closely read the terms and conditions of any offer so that you’re making the best choices for your business needs.